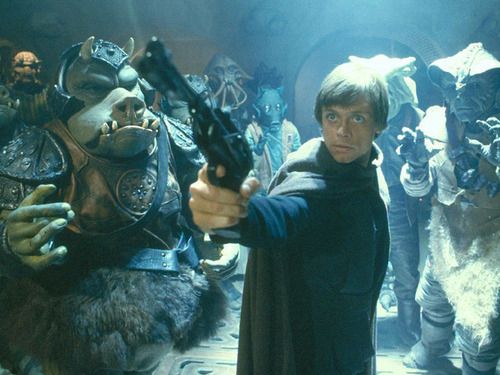 Unless you’ve been living in a hole, you probably know that all six of the Star Wars films are being re-released. IN 3-D GUYS (I hate 3-D). Anyways, the last time Star Wars was re-released was 1997, in preparation for the prequels. Little did we know guys, little did we know. (As a sidenote, Patton Oswalt has the best thoughts on the prequels, the best thoughts ever, you should listen to them). So anyways, in 1997 I was totally obsessed with Star Wars. I came to the Star Wars party a little late. I didn’t actually watch them until I was ten, for some absurd reason, but then I got SUPER obsessed. I more or less memorized the movies, and I read all the expanded universe stuff (Thrawn Trilogy guys Mara Jade guys!) Since I was so Star Wars obsessed, and since my twelfth birthday overlapped the re-release of Return of the Jedi, it only made sense to take a bunch of my 12-year old girlfriends to see the movie for my birthday party. Except it really didn’t make any sense at all guys. Naturally, none of my friends had seen the Star Wars movies (I wasn’t hanging out with good people in middle school, clearly), so they were all pretty bored. I wasn’t the coolest kid in middle school, and I was definitely all about ingratiating myself to my friends so that they wouldn’t be mean to me (remember when i said I wasn’t hanging out with good people? No, really, they hazed me before I could eat with them at lunch. I had to kiss the ground guys, no joke! What can I say, I was lame), but I wasn’t mortified about their thinking my choice of a movie outing was weird. I was mortified because the girls just didn’t get Star Wars. AT ALL. And to make matters worse, my girlfriends liked the lamest parts. Like the damn Ewoks. I mean, they cooed, loudly, and in unison, every time the Ewoks came onscreen. OOOOOOOO SO CUTE SO CUTE. 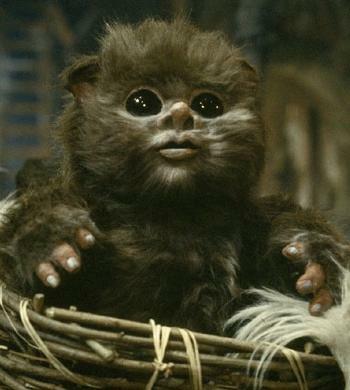 Okay, so that last baby Ewok is totally cute, but still. 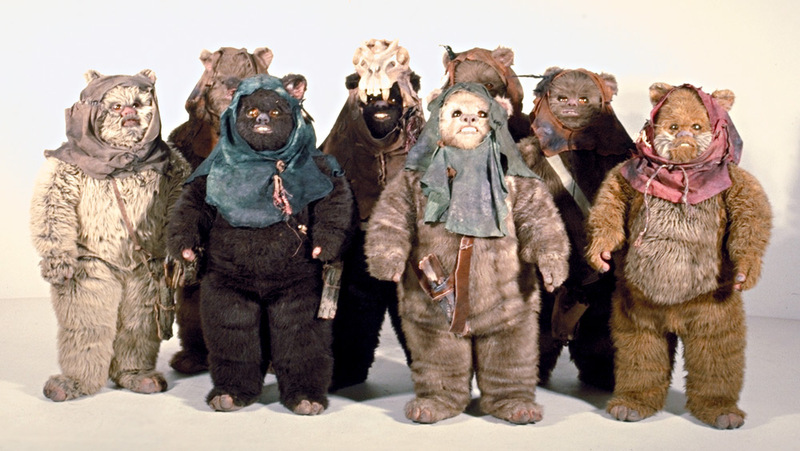 When you are trying to build your nerd identity, it doesn’t help when you take all your friends to see one of the BEST MOVIES EVARRR (remember I was twelve) and all they do is coo at the damn Ewoks. Anyways, I learned after that. I found my nerd crew. 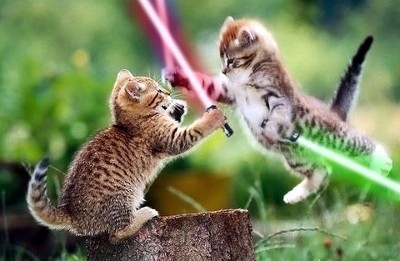 I realized that Return of the Jedi wasn’t really the best movie evarrr (Empire Strikes Back forever guys!). 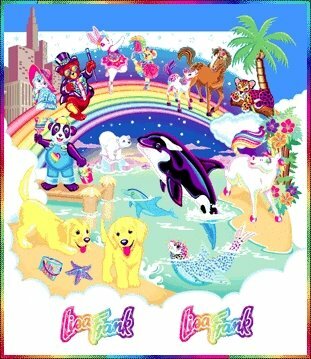 And I never again took a bunch of my Lisa Frank loving girlfriends to see a science fiction film. Except The Hunger Games. My girlfriends and I are totally going to go see The Hunger Games. Empire rules. I sleep on an original Empire pillowcase I’ve had since childhood. I still have nightmares about those boar men or whatever they are, so thanks for that image. 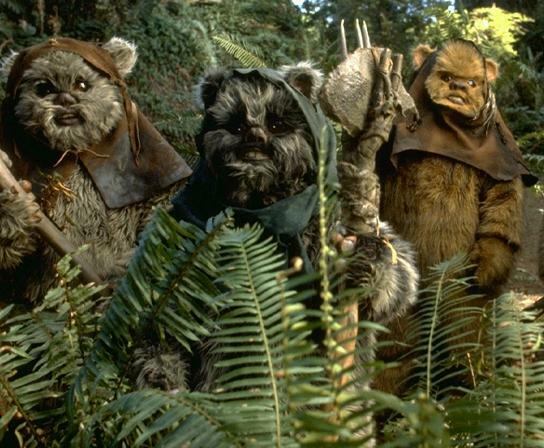 May you dream of Ewoks. Just kidding.